You are here: News / What a Backstreet-filled weekend these past few days have been! What a Backstreet-filled weekend these past few days have been! The excitement started with 93.3 Summer Kick Off on Friday, where Kevin, Howie, AJ, Nick, and Brian impressed crowds with choreography that made more than a few One Direction fans jealous. “Y’all, Backstreet Boys are on [right now] and I swear to god if 1D’s reunion isn’t full of dance routines, I’m going to sue,” wrote one fan on Twitter, who was attending the festival to see Niall Horan and ended up a Backstreet fan by the end of the night. Even 93.3 DJs Geena and Kramer got in on the fun, lip syncing along to BSB songs prior to the performance! Check out 9.33 Summer Kickoff Backstage & Onstage Photos here and Meet & Greet Photos here. The highlight of the weekend, though, might have been the Boys triumphant return to the Wango Tango stage for the first time in 10+ years. 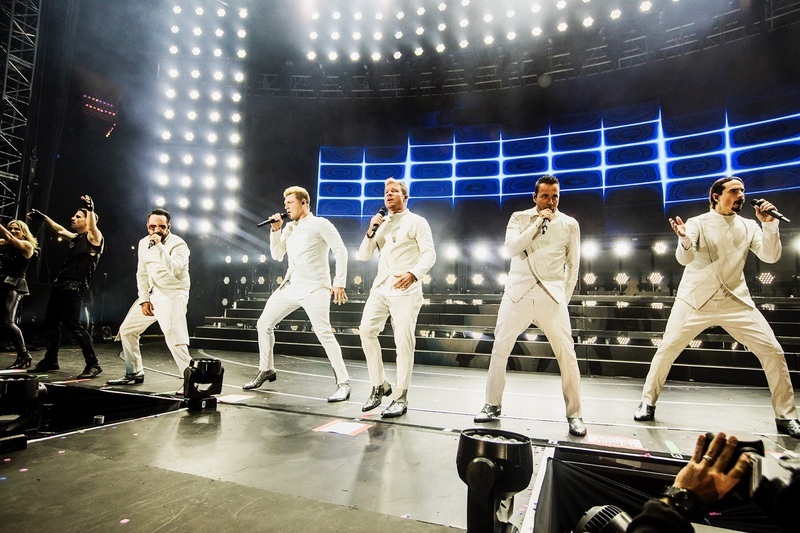 Bringing pieces of their current Vegas show to SoCal, they closed the show with a set of the hits that everyone could sing along to, proving to everyone that, 24 years later, the Backstreet Boys still have what it takes to get everyone on their feet. Check out backstage photos here and a few performance photos here. Billboard.com also caught up with the Backstreet Boys on the red carpet before their performance to talk Florida Georgia Line and band memories while ET Canada and Access Hollywood chatted with the Boys about their upcoming album, world tour, and Backstreet babies. The Boys are set to reconvene on June 3rd at Jones Beach for KTUphoria and are ready to top last year’s performance – get tickets now!